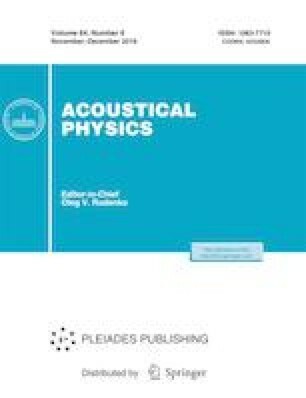 Comprehensive studies have been carried out on determining the acoustic and vibroacoustic characteristics of multilayer polymer composite panels of variable thickness installed in the opening between reverberation chambers. The acoustic insulation and acoustic excitability of the panels excited by a diffuse acoustic field, as well as their modal density, radiation loss factor, and total loss factor, have been determined for excitation with a vibration exciter in a wide frequency range. It has been shown that the panel characteristics have a universal character. Simple empirical relations have been derived to describe these characteristics. The measured vibroacoustic characteristics of the panels made of a polymer composite material have been compared to those of a traditional stiffened fuselage panel. The authors are grateful to S.A. Mikhailov (Tupolev Kazan Technical University) for help in manufacturing test composite panels and to Prof. V.F. Kopiev for support. The study was carried out with financial support of the Ministry of Science and Higher Education of the Russian federation, (unique identifier of the agreement RFMEFI62818X0011).